This Lightweight Suspended Bath Seat is extremely easy to fit, requiring no assembly or adjustment and simply positioned when required. 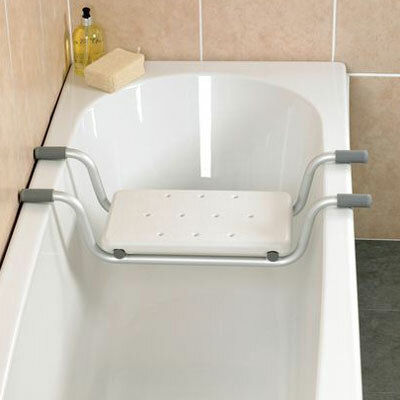 This Lightweight Suspended Bath Seat is extremely easy to fit, requiring no assembly or adjustment and simply positioned when required. Soft caps on the arms prevent the seat from moving. Seat size 16 x 19" Fits baths with an internal measurement of 23 to 26¾"
Fits baths with an internal measurement of 585 to 670mm (23 to 26¾").